Adopt the principles and five freedoms set out in the recent Scottish Animal Health and Welfare (Scotland) Act 2006, particularly in relation to cruelty and neglect. To ensure that the welfare of animals is properly protected and the penalties for offenders are increased significantly. Replace the culling of badgers with a more effective and humane methods of control. Have our badgers actually benefited from these proposals? Is an immediate halt to the present unacceptable cruel method of trapping/culling badgers on the cards? The answer is, to the best of our knowledge, no. For the foreseeable future, culling will continue. The badger vaccine is four- five years down the line. What exactly does the intervening period hold for the animal? It would appear that in the interim, it will be business as usual for badger trappers. According to a spokesperson from the National Parks and Wildlife Service, no instructions have been received to withhold the annual snaring licence. In fact, it was the Minister’s own Department that gave Agriculture (DAFF) licence to eradicate “not more than 30% of the badger population” in the first place. The figures speak for themselves! The Cull in question, often described as “the ferocious of all culls”, was agreed under the terms of a social document, the Programme for Prosperity and Fairness, 2000 (PPF) It had a four year term which began in 2004 and really should had terminated in 2008, but according to former Agriculture Minister, Mrs. Mary Coughlan, the killing continues indefinitely while we await the arrival of the long promised vaccine. Badgerwatch has yet to receive clarification regarding the promise of “ a more humane and effective control” by Minister John Gormley. TB vaccine trials for badgers are now under way in Ireland. Sacrificial badgers are now being vaccinated as part of a pilot project undertaken in locations in County Kilkenny. A number of badgers will be tested during the trial. The vaccine comes as an oral uptake presentation in the form of pellets. Unfortunately the test is said to include a similar number (300) of un-vaccinated badgers as a control group. All badgers will then be destroyed to test the effectiveness of the vaccine. This will be the strategy in eradicating TB in the badger population. Badgerwatch welcomes (long-term) the project which we hope will end the slaughter and give our remaining badgers protection from TB, however, bovine TB is a cattle disease and we cannot discount the likelihood that cattle, not badgers are the main source in the spread of the disease. Research on the use of a vaccine in badgers has been on-going for years, it is understood that it will be at least another four years at the earliest before the vaccine is fully approved for use. In the meantime, the interim strategy for killing badgers will continue unabated. The Department of Agriculture’s trappers are dedicated to removing circa 6,000 badgers annually and one need not be a mathematician to acknowledge that 4-5 years of further snaring will sound the death knell for at least, another 24,000 brocs. In the England, the first injectable vaccine against bovine tuberculosis in badgers will be used in 'the field' in England next year. The announcement was made earlier this year by the Environment Secretary Hilary Benn. It will be used in six areas of up to 100km2 where there is a high incidence of bovine tuberculosis (bTB) in cattle. Vaccination will start in 2010 and continue for at least five years. This will be the first practical use of a vaccine for TB in badgers outside research trials. Hilary Benn said: "Developing an effective vaccine for bovine TB is only half the challenge. The other is to deploy it effectively. This project will help us do that. As such it marks real progress in our fight against this terrible disease." The project will focus on ease of use in the field, securing local engagement in the vaccination campaign, developing practical know how and creation of a skills base. Government, the farming industry and other stakeholders working together will be important for its success. Defra will begin to sign up participants and train personnel during 2009, with vaccination expected to begin in summer 2010. A cross-border hunt was on yesterday after more than 30 cattle with TB were stolen by rustlers. The 33 cows were being collected for destruction and further testing on Monday when they were taken. Around 17 infected animals were led from a field at Crossenagh Road, Keady, Co. Armagh, and further 16 which had already been loaded into a trailer parked at the side of the Castleblaney Road were taken at around the same time. The North's Department of Agriculture and Rural Development has alerted authorities here. Condemning the theft as irresponsible, the North's Agriculture Minister Michelle Gildernew said it put the entire local industry at risk. any livestock which they come in contact with." She revealed the emergency was worse because some of the cattle were from farms which were under restriction because of brucellosis. However, the risk to human health from the animals has been deemed "negligible". Set up: 2002. List owner: John Tierney c/o Animal Concern, Rep. of Ireland Animal Media e-distributes media articles and information relating to animal liberation, animal welfare and environmental issues. step closer today. Rural Affairs Minister Elin Jones said she had taken the decision to sign and lay the Order to give Welsh ministers the power to issue a cull and/or vaccination of badgers in Wales. respondents 50% opposed the cull. those, 85% had agreed a cull needed to be considered. scheme. And Ms Jones said the cull could not happen between January and April as there was a risk of leaving young badgers without a mother. The minister announced in March that any cull would involve trapping the badgers in cages and shooting them. could not be more specific about the area at this time. part of our programme to eradicate bovine TB. which need to be taken. "I have always said that any cull of badgers could only go ahead when all preparatory work is complete. "This order is an important step towards completing that work, providing the necessary legal powers for a Welsh Assembly Government- managed cull." WELSH Assembly steps towards legalising a bovine TB badger cull have suffered a set-back. Within the permitted 40 days before the procedure can be put in place a motion to annul the proposal has been lodged in the names of two Assembly Members - Lorraine Barrett and Peter Black. They will now put the case against the legislation to the full Senedd on November 4, with a defence of her eradication programme intentions being given by Assembly Rural Affairs Minister, Elin Jones. There will then be a straight vote for or against the motion. Speaking at Tuesday’s Welsh Dairy Show in Carmarthen the Minister said, however, she was ‘confident’ of winning the day. Realistically it is thought there is a possibility of the motion receiving around five supporting votes. According to the Minister ‘positive action’ was needed to control the disease in Wales which, with 1,000 more cattle having been slaughtered by the end of August this year compared with 12 months ago, showed there was little sign of it slowing down. With a compensation payout possibly approaching the £30 million mark that was money that could be far better spent on providing more hospitals, better schools and improved transport links. 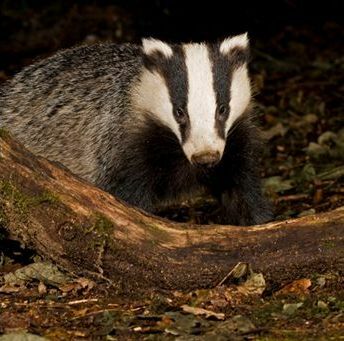 The Welsh Assembly Government has announced that it is a step closer to implementing a wildlife strategy as part of its comprehensive bovine TB eradication programmed. It has said it will take powers both to cull badgers as well as vaccinate them as part of the eradication programme, following results of a 14-week consultation. This gathered only 741 responses split between 50 per cent opposed to culling and 49 percent (88 percent in Wales) agreeing “that a badger cull could have an impact if carried out alongside cattle measures”. The Badger Trust says opinions taken at random can produce only dangerous nonsense and have no bearing on the challenging science of the disease and the control of its transmission. The only significant trials, the Randomised Badger Culling Trial, taking ten years and £50 million, showed that badger culling could make no meaningful contribution to eradication and that cattle measures alone were sufficient . The Badger Trust will not oppose current field trials of bTB vaccines for badgers despite reservations about the practicalities of administering it to a sufficient number of animals within the necessary time frame. We support adequate compensation for farmers for slaughtered cattle and would back any proposal to help with biosecurity. The Badger Trust wishes, just as much as affected farmers, to see bovine tuberculosis once again eradicated, but it says no other industry could propose the slaughter of a major part of an indigenous wildlife species when such action has even been shown to be likely to spread infection . Defra, Bourne, J. et al (2007), Bovine TB: The Scientific Evidence - A Science Base for a Sustainable Policy to Control TB in Cattle; An Epidemiological Investigation into Bovine Tuberculosis, Final Report of the Independent Scientific Group on Cattle TB. Badger Trust is the only charity solely dedicated to the conservation of badgers across Great Britain. Views expressed in newsletter not necessarily those of Badgerwatch.